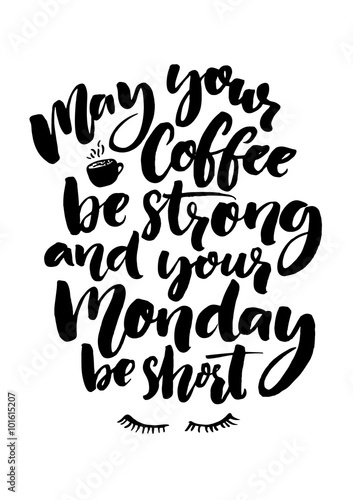 May your coffee be strong and your Monday be short. Fun quote about week start, office poster. Black brush lettering isolated at white background.